The presidential election will take place on December 07 or on a Saturday before that, ‘Divaina’ quotes sources in the Elections Commission as saying. Excepting for an early announcement of the election by president Maithripala Sirisena, he will complete his full term and the election should take place between November 09 and December 09. The Commission says it plans to finalize and certify the 2019 electoral register by October 22. If the commission also announces nominations on that day, the election should take place within the next four weeks at least, the media was told by the commission on January 27. 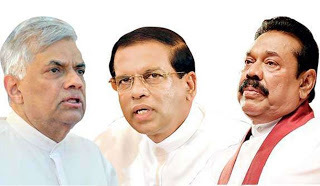 Both incumbent Sirisena and prime minister Ranil Wickremesinghe have decided to contest. Presidential secretariat sources say opposition leader Mahinda Rajapaksa has agreed to president Sirisena’s candidacy.